My friend anna posted a recipe similar to this on instagram recently, and due to a large amount of avocados laying around my house, I knew I needed to try it out. That was four days ago – so needless to say, I’m hooked. The addition of the avocado makes it so smooth and creamy. I love it. 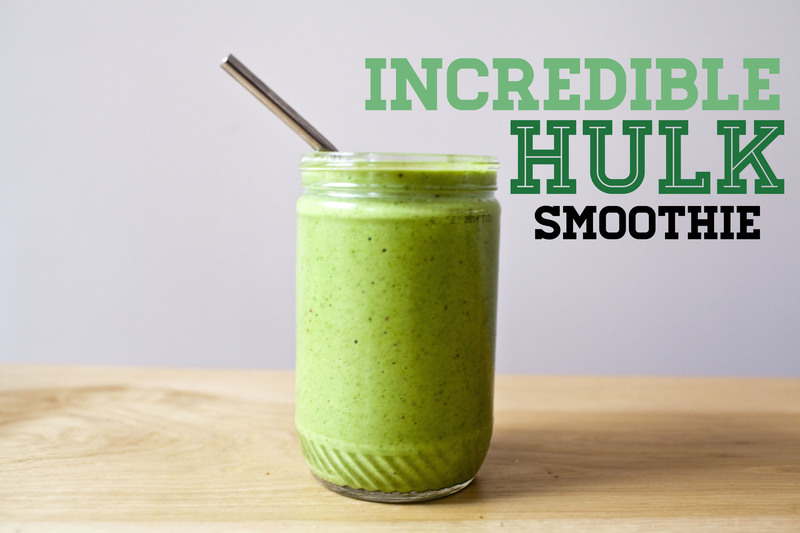 I call it the incredible hulk smoothie, for obvious reasons – and it makes it fun when I serve it up to milo, who drinks it without even flinching. Im sure there are alot of ways to mix this up – i think the addition of mango might even be nice! Mix in your blender and serve immediately. Sometimes you make a sandwich and you just need some pickled onions! I also found these are great in a salad! Mason jar with lidWhisk first 3 ingredients and 1 cup water in a small bowl until sugar and salt dissolve. 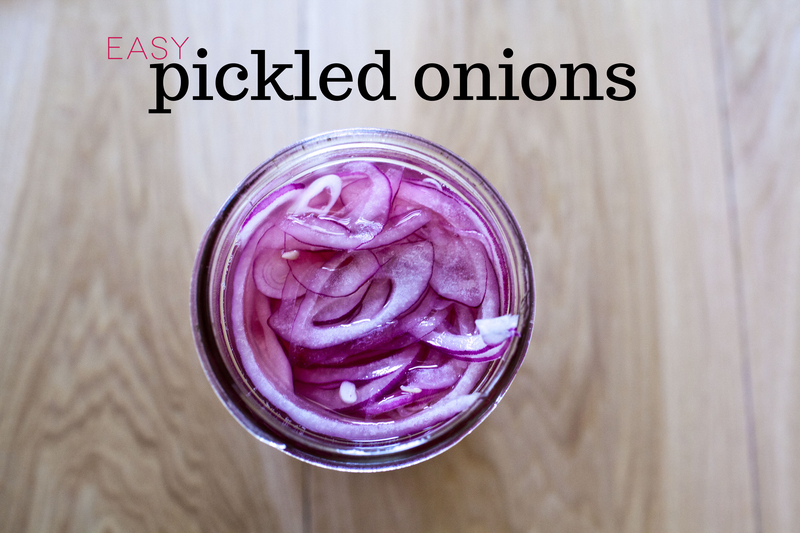 Place onions in mason jar; pour vinegar mixture over. Let sit at room temperature for 1 hour. DCover and chill. Drain onions before using. carrot and oat dog cookies. These are a simple cookie to make for your dogs. 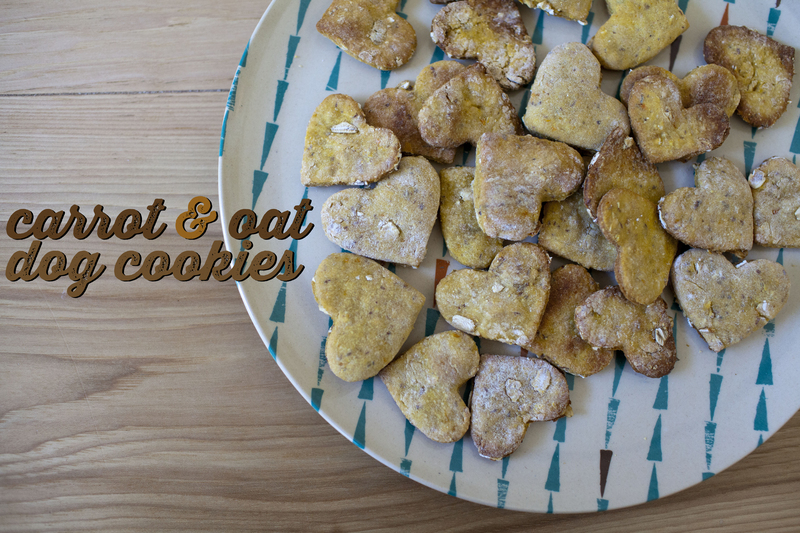 My dogs sat patiently while I was making these, watching my every move – they were excited to get a homeade treat of their own. 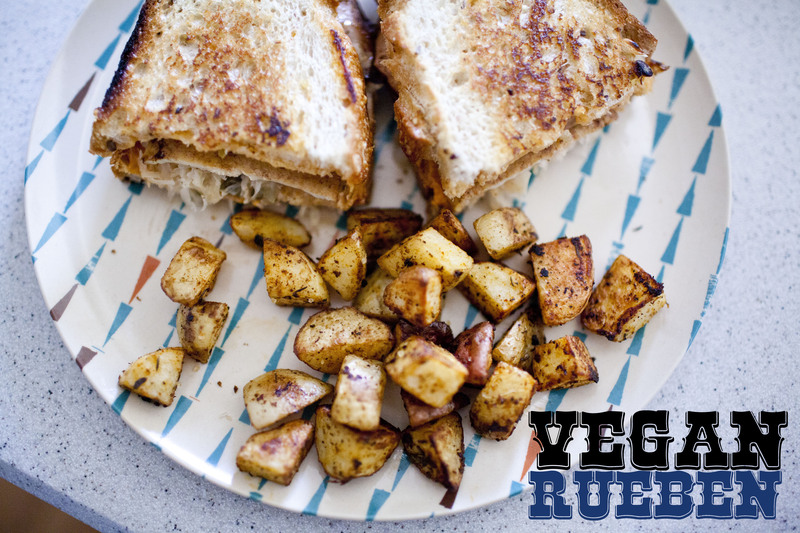 This is a rare instance where I’m posting a non-vegan recipe. This recipe uses eggs and it acts as the binding in the cookie. I bet you could substitute an egg replacer like a flax egg, which would also give it some added nutrients! Preheat the oven to 400 degrees F, with a rack in the center of the oven. Line a baking sheet with a piece of parchment paper and set aside. Combine all ingredients in a large bowl and stir to combine and form a thick dough. Flour your surface well, and turn the dough out onto the board. Sprinkle flour on top of the dough and onto a rolling pin, and roll the dough to approximately 1/4″-1/2″ thickness. Be sure to use plenty of flour, as this dough is very sticky! When the dough is rolled out, dip a cookie cutter into flour and cut out the biscuits. Transfer the cut out biscuits to the prepared sheet pan, leaving about 1/4″ of an inch between each treat. These don’t spread out, so you can fit upwards of 40 onto a baking sheet at a time. Bake at 400 degrees F for 20 minutes, or until light golden brown. Remove the baking sheet from the oven and allow the biscuits to cool completely. Transfer the biscuits to an airtight container, where they will keep at room temperature for up to two weeks. Easter is right around the corner and I had to rush to get our craft on! This is an easy craft that you can put together with your little one in no time. Milo liked doing this project because he got to do just about all of the work, even the cutting. Cut a circle shape to your desired size out of white or yellow paper. Cut your tissue paper into all kinds of shapes and sizes. this is a great step for your child if you have child-scissors because tissue paper is really easy to cut and there is no exact science here. 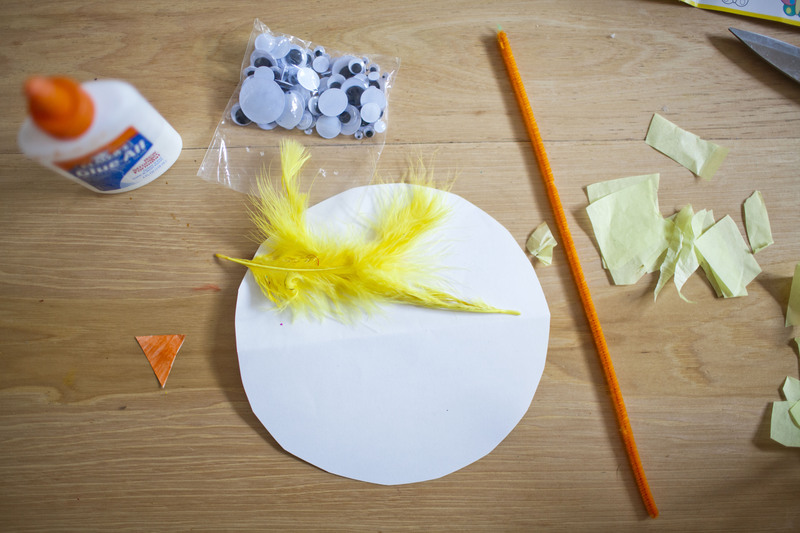 Put some glue all over the circle and have your child place the tissue paper on it until its totally covered. Glue the eyes and nose in place. Glue (and tape for extra support) the feathers to the back of the piece, as wings. Cut your pipe cleaner to four pieces (two longer, two short). bend the short piece around the long piece to make the feet, and affix with glue (and tape!) to the back of the chick. 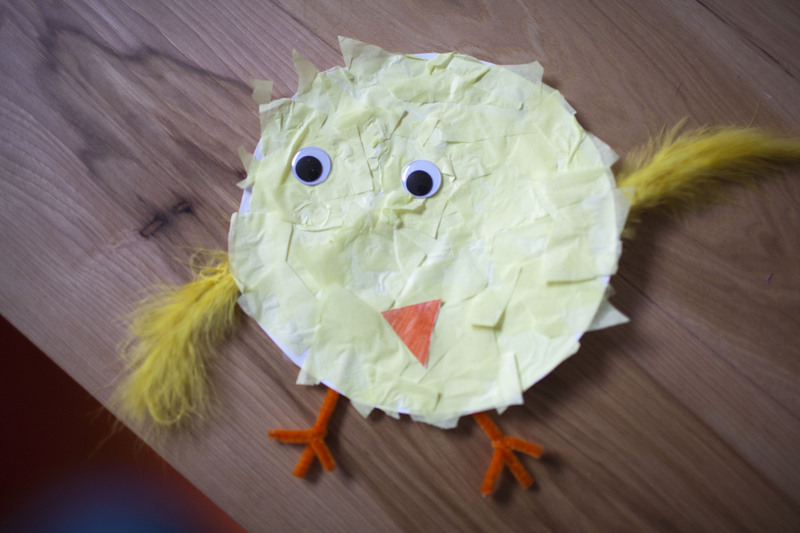 Here’s another fun easter craft we worked on last year. Peanut butter, chocolate and bananas are like the ultimate baking trifecta. Here they are in muffin form. I found the original recipe here, and modified it a bit to my liking. You can probably use any oil, but I especially love the sweet coconut-y flavor that coconut oil brings to the mix. 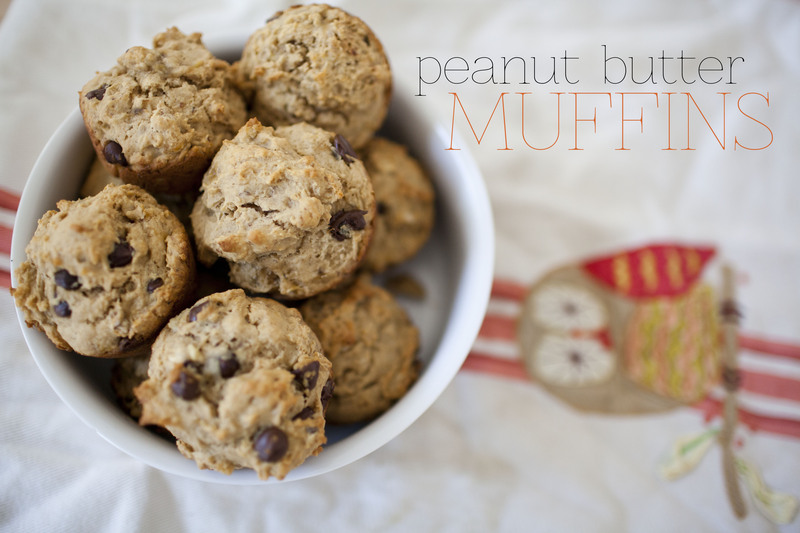 These muffins are so good served right out of the oven with a smear of peanut butter in the middle. 2. Mash the banana. set aside. Combine the flax seeds and almond milk and let sit for a few minutes. 3. Combine dry ingredients in large bowl. Add in the wet ingredients. 4. Warm the oil and peanut butter in the microwave until soft and liquid in texture. Pour into your batter and fold well. The batter should be about room temperature at this point – you don’t want it too warm or it will melt the chips. 5. Fold in the chocolate chips. 6. Pour into muffin cups. 7. Bake for about 18 minutes at 350 degrees. 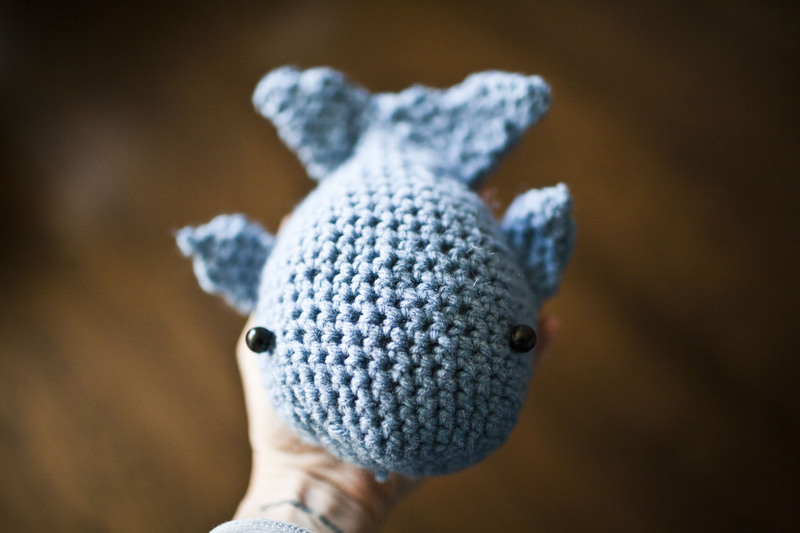 I was itching to crochet something, and I found a pattern to crochet this little whale. 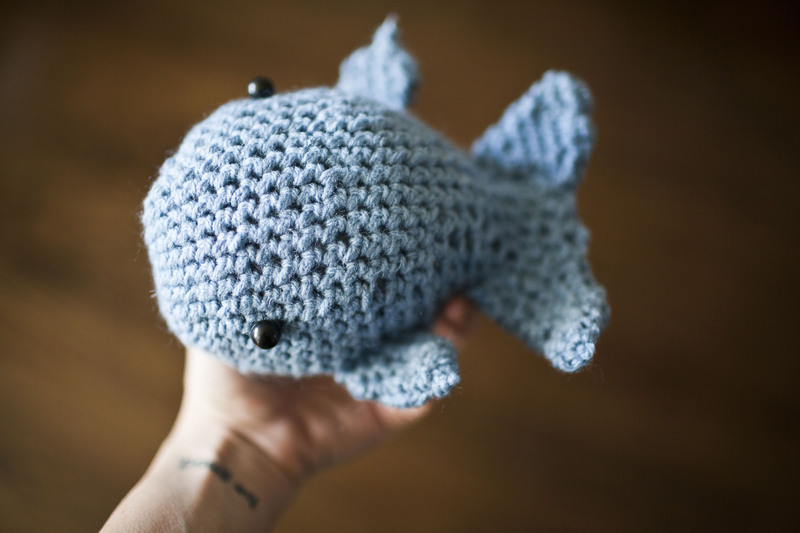 He turned out super cute, and was really easy! The only changes I made to the directions are I used a 4.0 hook, instead of a 3.75 hook, and a 3.5 hook instead of a 3.0 hook. *healthy* peanut butter chocolate chip cookies. 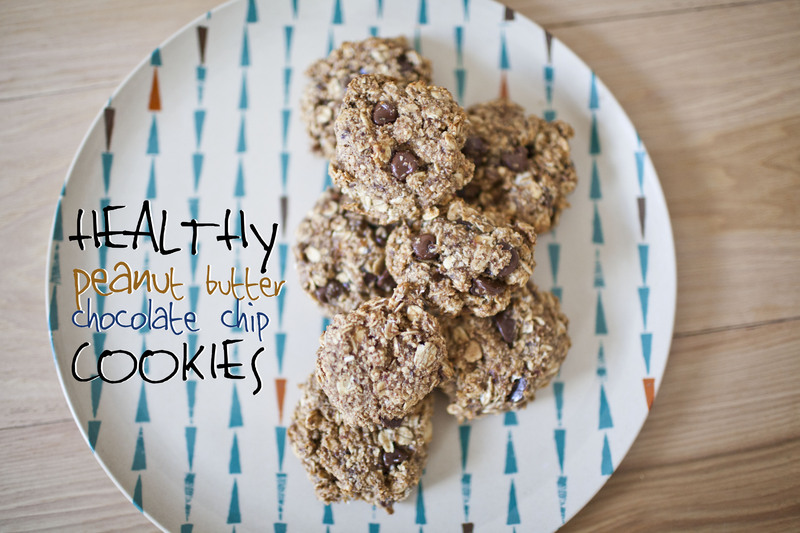 These cookies take no time to make, and are free of processed sugars and junk! They DO have chocolate chips in them, but they needed something fun in them! Add dates to a food processor or vitamix and pulse until small bits remain. Add banana and peanut butter and mix again until combined, scraping down the sides as needed. In a seperate bowl, combine the oats and the almond meal. Add the peanut butter/date/banana mixture to the almond meal and oats. Scoop out 1 Tbsp amounts of your cookie dough and form into loose discs, then arrange on a parchment-lined baking sheet. Bake for 15-18 minutes or until golden brown and somewhat firm to the touch. Remove and let set for a few minutes on the pan, then carefully transfer to a plate or cooling rack to cool. Serve immediately. Store leftovers in an airtight container for several days. Move to the fridge or freezer for longer term storage. Sorry for the delay in posts! We spent spring break in istanbul! While out grocery shopping before we left, sauerkraut caught my eye. I grabbed a can so we can make ruebens for dinner. We loooove a good sandwich, and this did the trick. And while turkish food was good, it felt great to eat something closer to home. Preheat oven to 400 degrees. Mix all the marinade ingredients in a 9×13 pan. Slice your tofu pretty thin, about 1/4 – 1/8 inch thick. Place in the marinade and give it a good coating, front and back. Place in the oven and bake for 20 minutes. Flip and bake another 10 minutes or so. In the meantime, mix together the ingredients for the dressing. set aside. When the tofu is ready, slather some earth balance on slices of bread. Layer sauerkraut, cheese, dressing and tofu on the sandwich and fry up in a pan until the sandwich is krispy and the cheese is melty and gooey. Add more dressing to your liking. Enjoy! You can also top with avocado, and or pickles.